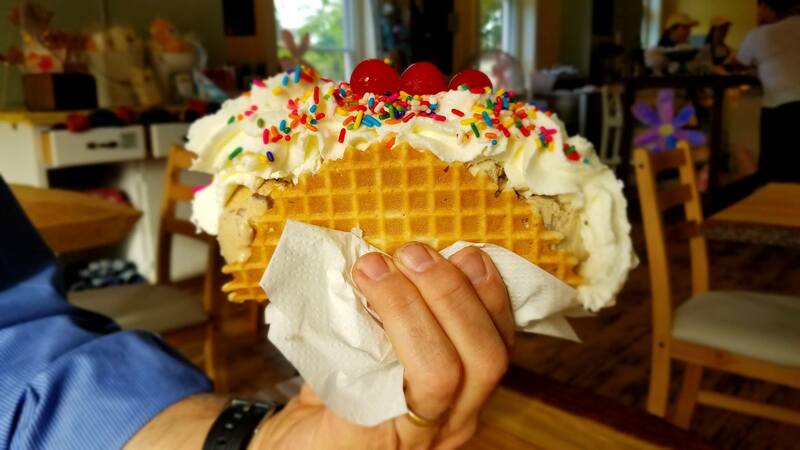 Get the Saco Scoop :-)! We just love ice cream! 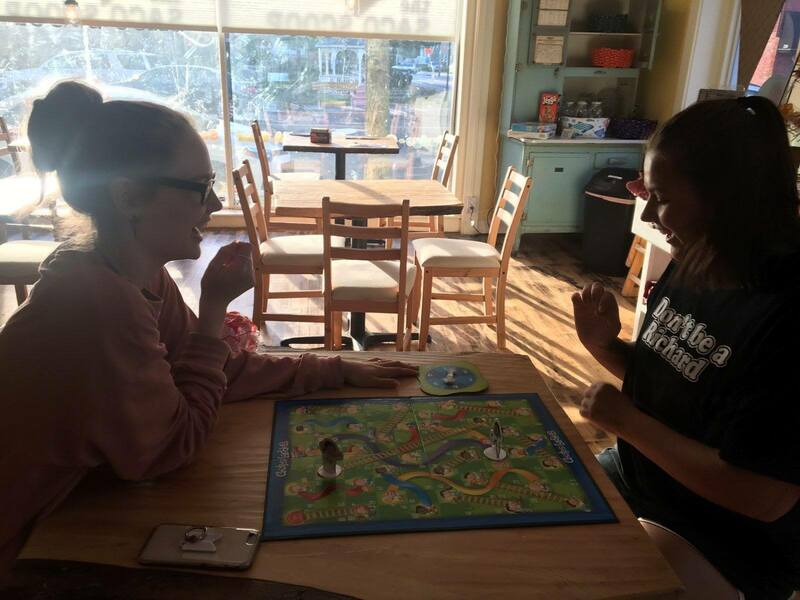 The Saco Scoop is all about our community we love! It's a place to hear the latest news, get community announcements, tips on where to go or what to do in Saco! 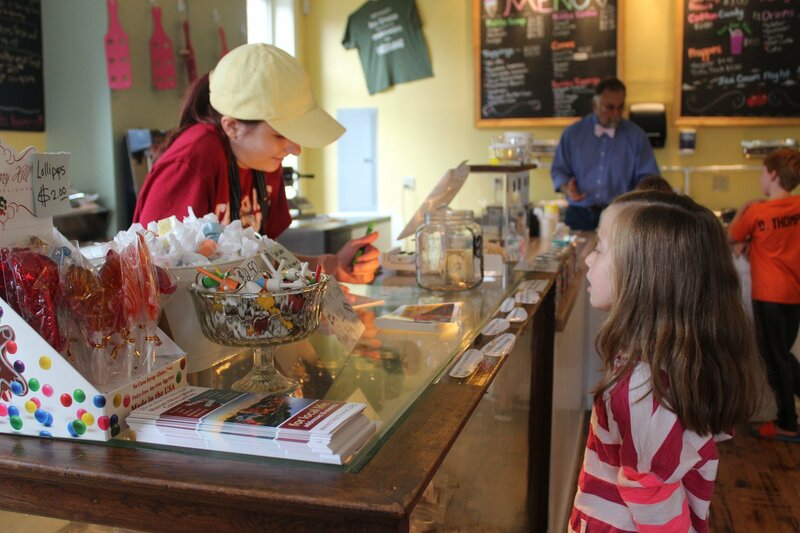 Whether you want to get an ice cream or shop for a friend, The Saco Scoop is the place to be. 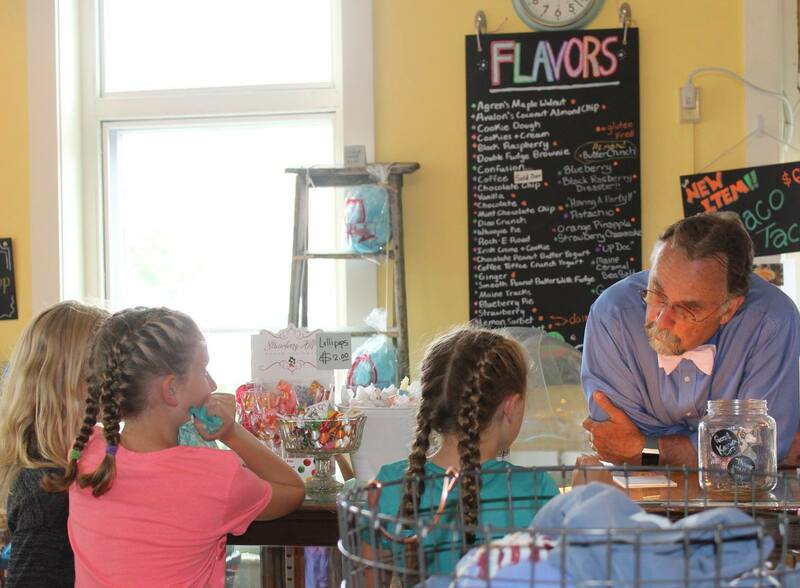 We have over 30 flavors of Shain's of Maine ice cream, Haven's Candies fudge, locally made honey and lollipops, and lots more. Then, find your favorite new apparel from Saco Main Street and Thornton Academy, or a Maine Made gift to bring home with you. 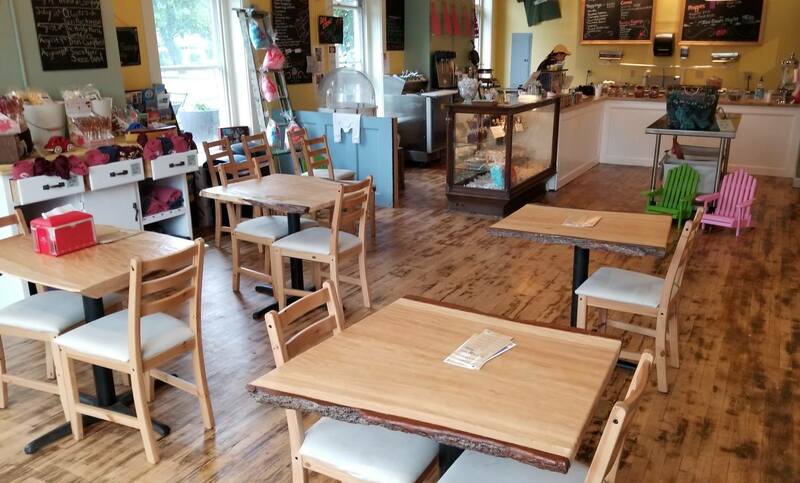 The Saco Scoop began as a community ice cream shop opened by Saco Main Street in June of 2018. 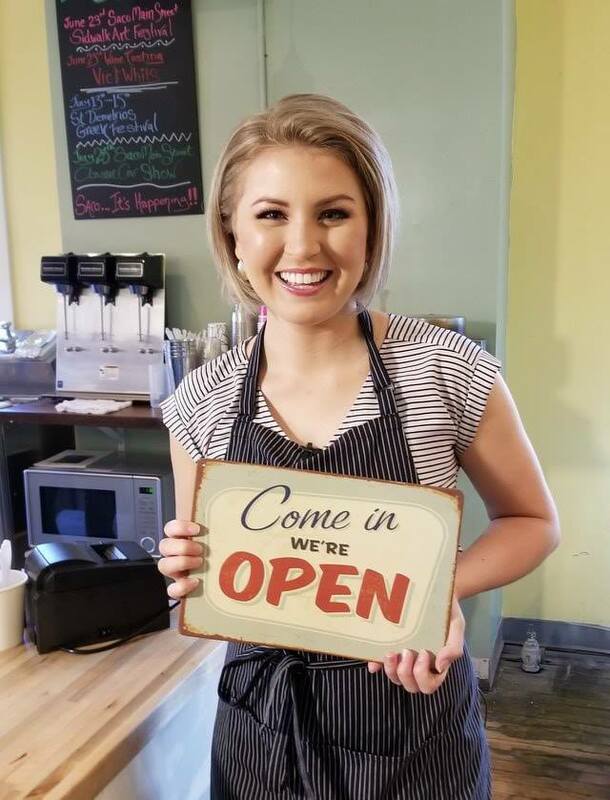 Saco Main Street is a registered 501(c)3 non-profit entity, and our goal is to enhance our mission of attracting more visitors to our downtown area and promoting local businesses. By opening a community store, we are able to help sustain our programming and further enhance the vitality of Saco's historic Main Street. Originally built as a hotel and stage coach terminal, the Saco House is one of the few early Greek Revival hotels to survive in the state. The old hostelry was consumed by fire on December 9, 1912, but the unique facade, with its giant Ionic pilasters spanning the top two floors and floating over the curved ends of the ground floor, was saved. All of the Saco House guests were awakened and led out safely. Horses in Chadborne's Stable (in the rear of the hotel) were also saved. Wooden buildings were leveled, but the walls of the brick Saco House stayed intact, though its interior was ruined. Later, Atkinson's Furniture bought the structure and saved most of the original exterior. It was home to Atkinson's Furniture for over 75 years before being converted to office and rental use. Location: 209 Main Street in Saco, Maine.